As a young CPG company, you have many concerns regarding the health of your business. Between your competitors, emerging technologies, and all the nuances that come with running a company, it’s easy to get overwhelmed. However, companies in the CPG industry can utilize success-driving strategies to maintain profitability and ultimately scale up. Before administering business advice, it’s best to answer the question, “What is a CPG company?”. The acronym CPG stands for consumer packaged goods. These types of goods can be defined as relatively low-cost commodities that are consumed and replenished on a frequent basis. CPG products are typically packaged individually or in small quantities and are not designed for long-term use. Consumer goods shouldn’t be confused with durable goods, which are meant to be used repeatedly before they are discarded. Appliances, automobiles, and electronics are some common examples of durable goods. The consumer packaged goods industry is experiencing tremendous growth, as well as rapid changes. Demographic shifts and dynamic consumer preferences are forcing companies large and small to adapt quickly if they wish to survive. The following is a summary of the most influential factors shaping the CPG sector today. Here’s a collection of statistics that are highly relevant to companies in any CPG vertical compiled by marketing expert Brandon Gaille and consumer products investor Sophie Bakalar. The facts described above are shaping the trends that currently dominate the CPG landscape. Among these are the omnipresence of digital, the rise of omnichannel, and value alignment. Technology has infiltrated every facet of life, especially how fast moving consumer goods are bought and sold. Modern shoppers, and millennials in particular, are incredibly likely to complete the entire sales cycle online. Smartphones empower buyers to research and purchase products with the click of a button. In addition to e-commerce, data and analytics is shaping the industry in unprecedented ways. 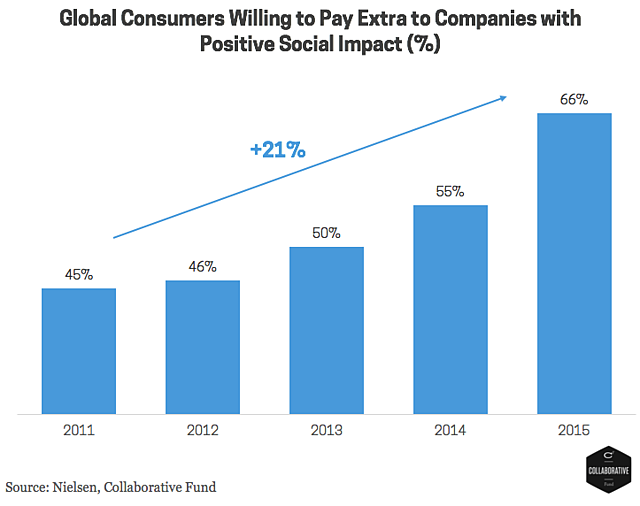 A separate McKinsey study discovered that companies who make decisions based on behavioral insights experience 85% higher sales growth than their peers. Data helps businesses better segment their customers, create marketing messaging, design new products, and explore new growth avenues. Convenience is king in today’s consumer-driven marketplace. Companies that can deliver a seamless experience across shopping platforms will gain an edge over the competition. Omnichannel is essentially the fusion of e-commerce and brick-and-mortar. This translates into shoppers purchasing a product online and picking it up in a physical store, or buying a product at a retail outlet and having it shipped to their home. 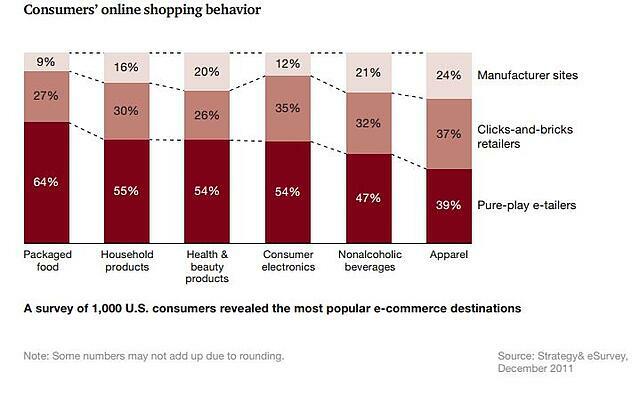 Below is a breakdown of how consumers used the internet to purchase goods as early as 2012. Another “value” that’s gaining prominence is personalization. Customizing products in a way that tailors to customers’ unique requests is affordable using a direct-to-consumer channel (as seen with Dollar Shave Club and the like). CPGs are also partnering with e-commerce giants and having them suggest additional products that the consumer might want to add to their cart. These practices are transforming the relationship between CPGs and consumers from practical to personal. Many job-seekers are eager to embark on a career in this lucrative, fast-paced industry. Where should employers be looking for these candidates? Within their own network. Human-to-human referrals will always be preferred over a faceless online application. Take advantage of your professional network by attending relevant industry events in your community. Become a part of organizations like meetup.com, which allow users to organize and attend events based on niche interests, either personal or professional. LinkedIn. In addition to its comprehensive job board, LinkedIn Groups are another tool that candidates can use to network with other professionals in their space. One can join groups that pertain to industry, job function, or both! Career Fairs. This method of job-seeking is most appropriate for interns and entry-level applicants. University-sponsored job fairs let employers meet with a large number of candidates at once and make personal connections with potential hires. Job sites. While the value of generic job-search websites like Indeed and Glassdoor should not be negated, hiring managers will want take a look at industry-specific job boards to find candidates who are invested in a CPG career. Examples of these types of sites are cpgjobs.com, myfoodrecruiter.com, and ccinc.org. Traditional marketing agents certainly have their advantages, but many contemporary CPG companies are capitalizing on the accessibility and lower costs afforded by digital channels. Moreover, digital marketing tactics produce highly measurable results that allow CPG marketers to adjust their strategies over time. Website user experience -- Is it informative, responsive, and engaging? Does it feature product reviews and enable ecommerce? Social media presence -- Are profiles complete? Is content posted consistently? Are campaigns actively monitored? Search Engine Optimization (SEO) -- Has a list of targeted keywords been established? Is there infrastructure in place to improve search engine rankings? Email -- Are newsletters relevant and eye-catching? Is email being leveraged properly for promotions? In order to cut through the noise that plagues the digital landscape, CPG businesses need to showcase why they’re different and why consumers should be paying attention to them. The good news about digital marketing platforms is that they are extremely visual and customizable, meaning that marketers can creatively illustrate those brand values that resonate with their target market (i.e. sustainability, luxury, health consciousness, corporate social responsibility, etc.). Check out these examples of companies who are utilizing social media to reinforce their brand image. Many organizations don’t regard product packaging as a form of marketing, yet it conveys a strong message to customers just as any other marketing approach does. Consumer goods’ packaging is often buyers’ first point of physical contact with a brand, and therefore needs to tell them everything they’d want to know about the contents inside. Packaging design should reflect a brand’s personality in a way that makes it pop against the competition on a retail shelf. What’s more, funky packaging can inspire users to start a conversation about it via social media, leading to some fantastic free advertising. Below are some CPG companies whose packaging makes a statement. Growing sales is a priority for any business. 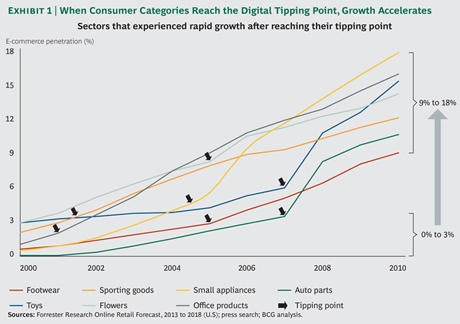 Consumer goods sales can be especially volatile due to rapidly-changing consumer demands and ever-present competition. Furthermore, it’s virtually impossible for a startup to compete with industry giants for retail shelf space at big box stores. Nevertheless, there are some steps businesses can take to maximize sales at the locations where they’re already placed, putting them in a better position to eventually pitch their products to larger retailers. Develop a field marketing program. Retailers want to know that brands have the ability to drive sales through the use of end-cap displays, stickers, or other visual aids. 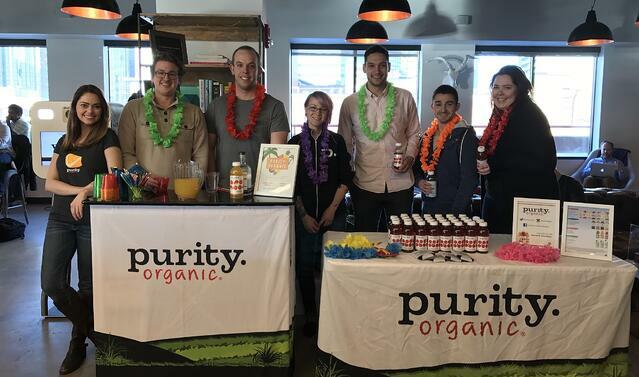 On-site demonstrations allow CPGs to get in front of customers and share product samples and information with them, sometimes leading to on-the-spot purchases. Prevent out-of-stocks by collecting inventory data. When a product isn’t readily available on the shelf, consumers will either choose another brand or abandon the purchase altogether. Be transparent with retail partners. Share with them any data on customer demographics, revenues, employee competency, competitor activity, etc. to bolster trust and demonstrate a capacity to execute. Experiment with different pricing strategies that can help bring you closer to your profit goals. Maintain accurate records on the results of each strategy used and always consult with the retailer first before making changes so as to prevent violating any pre-determined agreements. Any CPG company is comprised of several moving parts: manufacturing, marketing, HR, and sales departments all play a vital role in the success of the organization as a whole. The top priority for any senior leader in the CPG space is enabling their team to succeed. It’s easy to draw a connection between safety and manufacturing functions (i.e. those employees who operate machinery on a daily basis). But employees across departments could find themselves in an unsafe work environment due to inclement weather, large crowds, a disease outbreak, or a variety of other factors. Effective scheduling and communication go a long way in preventing accidents from happening. One of the best ways to boost workplace morale is by recognizing employees for their efforts and achievements. People are more inclined to stay with an organization that makes them feel valued, and knowing they are appreciated can even increase their productivity. In addition to making sure that employees’ physical well being is taken care of, managers are also taxed with the responsibility of preventing exclusion on the basis of race, religion, political views, or any other demographic. Facilitating happy hours or other team-bonding excursions can help team members forge bonds outside of the workplace leading to increased understanding and trust. Moreover, managers should enforce a zero-tolerance policy for discrimination. New-hire onboarding is essential to employees’ long-term prosperity at a CPG organization. Make any policies and procedures available in a digital format for workers’ quick reference. Instruct them on any software tools they will be responsible for using as part of their job functions. Have any paperwork prepared beforehand. Don’t forget to order them business cards! The CPG industry is all about execution. Great ideas can become top-notch products, but without a customer base, an entrepreneur’s hard work might never amount to anything. Half the battle is being nimble enough to adapt to the ever-evolving retail landscape. Companies that equip themselves with dedicated team members, creative marketing initiatives, an aggressive sales strategy, and competent managers will be well on their way to competing with the Unilever’s of the world.